We accept same-day emergency appointments. Call us today at (610) 616-3593. If a throbbing tooth or uncomfortable sense of pressure is keeping you up at night, you’ll likely begin to wonder, “How can I find an emergency dental office near me?” When oral discomfort strikes, treatment from our experienced emergency dentists in Allentown can help you recover quickly and preserve your oral health. Where Can I Receive Emergency Dental Care Near Me? When experiencing oral pain, it’s important to receive treatment quickly. Waiting to see if the issue improves or goes away on its own can lead to even more damage to your oral health. At our practice, our skilled dentists provide a full scope of emergency dental services during regular business hours. Our goal is to see each patient as quickly as possible, diagnose the condition, and eliminate discomfort. Call us today to schedule an appointment. How do I know if emergency dental treatment is necessary? 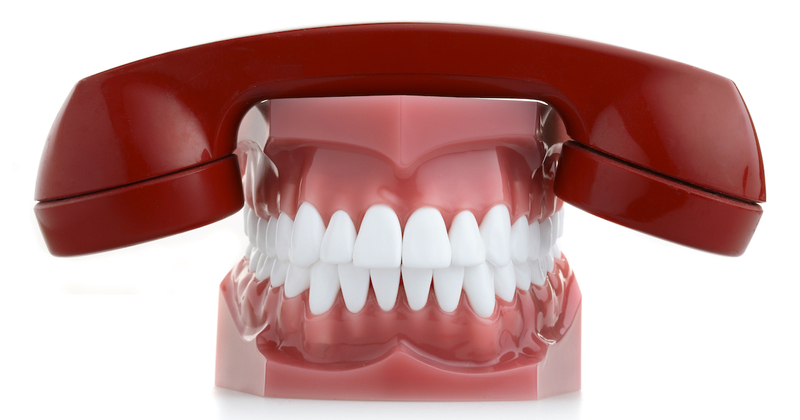 When should I contact an emergency dental office near me? Patients should seek treatment from an emergency dentist quickly if they suffer from broken or fractured teeth. Structurally damaged teeth can become infected if left untreated. If the damaged tooth has pointed edges, use dental wax to protect your cheek or tongue from getting scratched. An avulsed tooth simply is a tooth that has been accidentally knocked out. Fortunately, knocked-out teeth can often be placed back into their sockets by emergency dentists. If available, gather any tooth fragments and gently rinse them with warm water. Knocked-out teeth should be held by their crowns only. There are a number of conditions that can cause a severe toothache, so constant toothache pain or pressure should not be ignored. Schedule an appointment with our office if you’re experiencing oral discomfort. It’s not uncommon to occasionally suffer from mild tooth sensitivity. A tooth that suddenly becomes very tender, however, should be evaluated by a dentist to rule out injury or infection. Cavities form when dental decay is left untreated. When a large cavity exposes the tooth root, a severe toothache can develop. If you suspect your pain is due to cavities, see our emergency dentists for the appropriate treatment. An abscessed tooth occurs when a tooth root becomes infected. If you have an abscessed tooth, you may suffer from foul breath, swelling, and severe oral pain. You may also notice draining sores along the gum line. Call our office immediately if you suspect a dental abscess. When a tooth filling is dislodged or goes missing, oral discomfort can develop. The affected area is also more vulnerable to decay. See our dentists for treatment if you suffer from lost or loose fillings. If you have broken crowns or lost restorations, you know how it can affect your smile’s appearance. But the problems are more than simply cosmetic – without the restoration in place, the affected area is more prone to damage. Visit our emergency dentists for a temporary or permanent restoration or crown that repairs your smile. Metal wires and brackets sometimes cause orthodontic pain and injuries. If wearing your braces has become uncomfortable, call our emergency dental office to schedule treatment. Many people grind their teeth while sleeping, wearing down their tooth enamel over time. Fortunately, emergency dentists can provide night guards that protect the tooth enamel from nighttime bruxism. You may be surprised to find out that tooth pain and sinus pressure can be caused by the same condition. An obstructed wisdom tooth or oral infection can cause sinus pressure, so it’s important to visit a dentist if you’re experiencing tooth and sinus pain simultaneously. My dental emergency seems severe. Should I search for emergency dental care near me, or get in touch with my primary care doctor? What is the Cost of Emergency Dental Treatment? The cost of urgent dental treatment is different for every patient. Your emergency dentist will evaluate the severity of your condition and determine what treatments are required to eliminate your symptoms. At your appointment, we will provide you with an estimate of your charges and inform you about your payment options. Our emergency dentists accept most major credit cards and insurance providers. We also offer affordable emergency dental care through DentRite®, a discount dental plan. Perfect for those without insurance coverage, DentRite® gives you many of the same benefits as a dental insurance plan. You’ll save hundreds of dollars on routine and emergency care. Give our emergency dental office a call today for more details. When a dental emergency strikes, you need to be able to reach an emergency dentist Allentown right away. To handle your dental trouble before you see an emergency dentist, try these four expert tips.